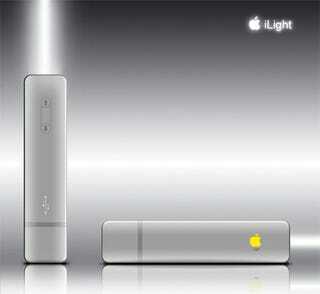 Yes, the world has fallen in love with Apple's clean and sophisticated designs, but is making an Apple flashlight going too far? You bet it is. Still, designer Myoshimasato has developed a concept piece that attempts to illustrate what an iLight would look like if it actually existed. I'll admit, it does look like something Apple would design (or Nintendo for that matter), but the functionality makes what should be a simple device unnecessarily complex, and there is no real software component to speak of. Two qualities not generally associated with Apple products.